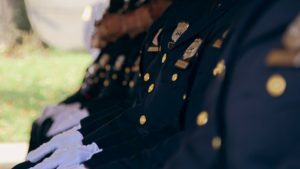 Newark, N.J. city officials signed a comprehensive agreement with the Justice Department on Wednesday to overhaul their police department. It’s the culmination of a lengthy negotiating process and a deal that federal officials hope will transform the beleaguered department into a national model. The question is whether it will work. Over the last 21 years, the Justice Department has investigated 68 departments for a pattern or practice of civil rights violations. But a recent analysis of the resulting agreements by FRONTLINE and The Washington Post found that the DOJ hasn’t been able to say which reform efforts work, and it has had no clear way to measure success. Older agreements relied on monitoring teams to produce evaluations that were sometimes more subjective than data-intensive. There was also little effort to ensure that the community was benefiting from the new policing procedures — or that it even understood what was supposed to change. Several recent deals struck by the Obama administration have sought to change that, and a closer look at Newark’s agreement — officially termed a consent decree — suggests that it’s among the more comprehensive in recent years. Several of the included provisions are intended to address one of the shortcomings of the DOJ’s police reform process: evaluating success. Newark’s agreement mandates both in-car and body-worn cameras for officers, a revamped process for investigating use-of-force incidents, including additional scrutiny for those involving death or serious injury. But perhaps most strikingly, the agreement includes three primary data-gathering requirements: annual surveys of police, residents and other stakeholders to evaluate the reform process; regular tracking of demographic data on stop, search and arrest rates, as well as use of force and other police actions; and a mid-point evaluation to see what’s working, and whether the deal should be tweaked accordingly. The data will provide important insight into how well the changes are working. But whether any reforms last will also depend in large part on city and police officials’ commitment to the deal. The DOJ launched its investigation of the Newark, N.J. police department in 2011, saying that it had received “serious allegations of civil rights violations,” including the use of excessive force, unwarranted stops and arrests, and discriminatory policing. The Justice Department said it found that a full 75 percent of stops by Newark police had no justifiable basis. It also found that police used excessive force against residents and stole their belongings. Another troubling pattern: Officers sometimes arrested people for criticizing or questioning their actions, the DOJ said. Unlike many departments, Newark police didn’t dispute the findings. In fact, the day the DOJ announced its findings, the city released a signed statement announcing that it would ultimately agree to a formal consent decree. That was nearly two years ago. By the time Newark announced its deal on Wednesday, nine of the 13 cities the DOJ investigated after it started looking into Newark had already entered into agreements, including in Ferguson, Mo., where DOJ officials had to threaten a lawsuit, and in Cleveland, Ohio, where findings were met with more public skepticism by city officials. Newark has taken some steps forward. Mayor Ras Baraka said the city has been working since the findings were announced to improve the police department’s relationship with the community and improve oversight. Last year, Baraka signed off on a civilian complaint review board, which it had agreed to implement after the federal investigation. The city council voted to approve the board earlier this month. 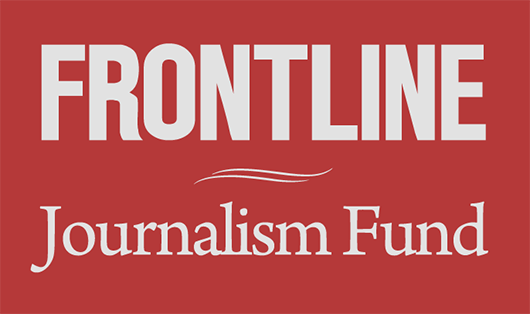 Additional reporting by James Jacoby and Anya Bourg of FRONTLINE’s Enterprise Journalism Group.